KANSAS CITY, Mo. 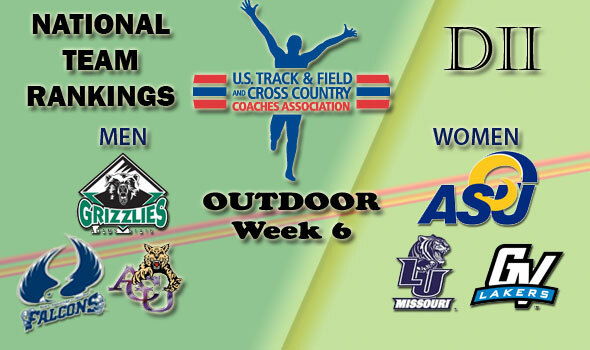 – The men of Adams State took over the top spot for the first time this year in Division II’s national team rankings as announced by the U.S. Track & Field and Cross Country Coaches Association on Tuesday. The No. 1 Grizzlies have a slim margin over No. 2 Saint Augustine’s as we head into the final weekend of the regular season. On the women’s side, Angelo State retains the top spot over Lincoln (Mo. ).